Over the years, we were led to believe that graying hair means that you are getting old; that’s what grey hair equates to. While it has some truth in it, this is not always the case. Some people can have gray hair even at a very young age, like 20s and early 30s. This condition is called “premature” graying of hair. Normal graying of hair should start after the age of 50, if at all! 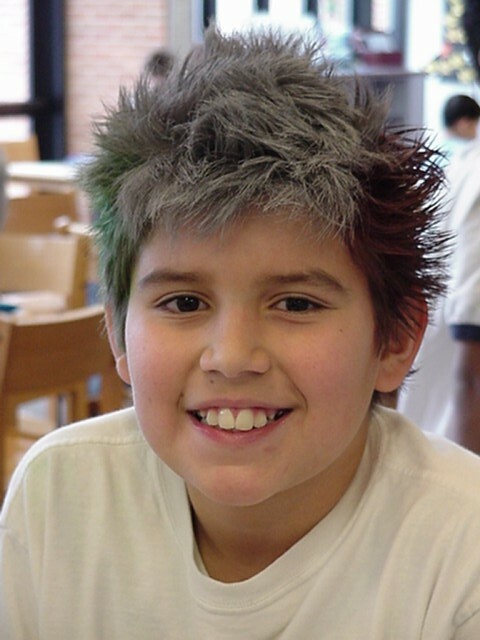 Okay, so anybody can have gray hair at some point in their lives. How does it happen? In reality, your hair is transparent or colorless. In each hair follicle, there are cells called “Melanocytes”. Melanocytes are responsible for producing pigments that give color to your hair. One of the pigments produced by these specialized cells is called “Melanin” and that’s the stuff that gives hair its dark color. When the Melanocytes in your hair follicle die or stop producing melanin, the result is a colorless or transparent hair appearance, it’s as simple as that. There are several factors that can lead to this condition; I will discuss more of that in the next section of this chapter. Now these colorless hairs are referred to as gray hair because they look gray when seen against the surrounding dark, healthy hair. The basic important causes for this are, inadequate nutrition, hereditary, mental stress, emotional imbalances, unhealthy scalp(Scalp which is not hygienically maintained. Using harsh shampoos, soaps, and other hair styling accessories. Increased intake of fried, sour, spicy, salty, and fermented foods, as well as tea and coffee, aggravate the Pitta Dosha (Ayurvedic humor representing Fire) in the body. This Pitta accumulates in the skin of the scalp, leading to hair falling out and graying prematurely. Factors like excessive anger and stress are also responsible. Excessive consumption of alcohol and meat also aggravate Pitta. · Avoid Pitta-aggravating foods like spicy, heavy, and oily foods, as well as tea and coffee. · Avoid refined foods, refined sugar, junk food, and alcoholic and carbonated drinks. · Increase intake of fresh fruits, green leafy vegetables, and vegetable juice prepared from lettuce, carrot, capsicum, and alfalfa. · Avoid using chemical products on the hair. Try herbal oils and shampoos instead. Yoga asanas for grey hair can be effective by treating some of the conditions that can cause grey hair. Some of the causes for grey hair are thyroid conditions, excessive trauma and stress, nutritional deficiencies like vitiligo and anemia, Grave’s disease, and early menopause in women. Therefore, if stress is the cause of your graying of hair, then you could practice some yoga postures that are effective in dealing with stress. Some of the yoga postures for stress relief are : Ustrasana (Camel Pose),Bhujangasana (Cobra Pose), Halasana (Plough Pose) and Trikonasana(Triangle Pose). And Finally, Natural approach is the permanent solution to these kind of problems like acupuncture, naturopathy and yoga.